Uber Technologies Inc. CEO Dara Khosrowshahi said it was “possible” the ride-hailing giant would look for outside investors for its self-driving car unit, but isn’t currently searching for backers. The company is pouring large, undisclosed sums of money into its Advanced Technologies Group, which includes the company’s self-driving car research as well as plans to build VTOL (vertical takeoff and landing) vehicles at scale and speed, with a goal of them becoming a mass-market technology. Khosrowshahi was speaking to Bloomberg News’s Brad Stone at the World Economic Forum in Davos, Switzerland, on Jan. 23. Uber is competing with Alphabet Inc.’s Waymo, Tesla Inc. and the world’s traditional auto manufacturers and startups, in the race to develop self-driving vehicles. Waymo launched the first autonomous ride-hailing service in Phoenix in December. But the service is only available to a test group of about 400 people in a limited geographic area, and a human safety driver still is needed behind the wheel in case the cars encounter situations their artificial intelligence systems can’t handle. Despite heavy investment, companies working on self-driving technology have been pushing back forecasts for when fully autonomous cars without safety drivers are likely to be widely available, as they discover training a computerized system to handle the complexity of road and weather conditions is a far harder task than initially envisioned. Uber restarted testing of its self-driving cars on public roads in December, after a nine-month hiatus as a result of one of its prototypes having struck and killed a pedestrian. 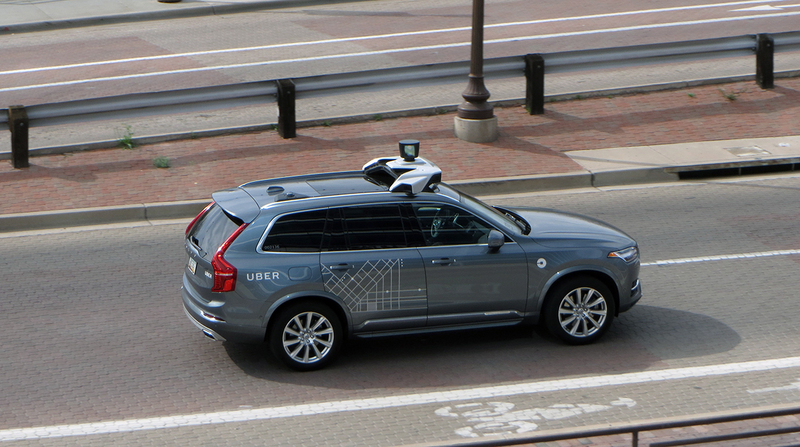 The company’s ATG division also has been at the center of other costly controversies: After Uber hired former Waymo engineer Anthony Levandowski to head its self-driving efforts, the Alphabet company sued Uber alleging Levandowski had stolen trade secrets. Levandowski subsequently left Uber and founded a new self-driving truck company, Pronto AI. In February 2018, as a trial in the case was underway, Uber settled the suit. Toyota Motor Corp. — which has a deep interest in being the first to the flying car market — invested $500 million in Uber 2018 and sees the American company’s Advanced Technologies Group as essential to its corporate value. But here, too, Uber is not alone. A dozen other companies, including aviation giant Airbus SE and two startups backed by Alphabet co-founder Larry Page, are working to develop and commercialize flying cars.